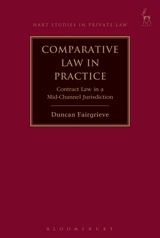 This book provides a comparative study of contract law, examining the interaction of common law and civil law approaches to contract law. Drawing extensively upon English, French and European law, the book explores how the law of contract of Jersey, Channel Islands, has been influenced by both civil law and common law sources. It is argued that this jurisdiction is a striking example of comparative law in action, given that Jersey contract law is made up of a blend of common law and civil law approaches. Jersey law is premised upon a subjective approach to contracts, in which civil law concepts such as cause (rather than consideration) and vices de consentement are the foundational aspects, but is nonetheless highly influenced by the common law in areas such as remedies (damages, termination, etc). 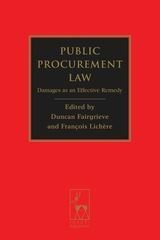 The book analyses a series of key issues from a comparative and European perspective, including the principles underlying contract law (comparing and contrasting civil and common law approaches), the formation of contract, requirements of reciprocity (cause vs consideration), the structure and approach of precontractual liability, the role of good faith in a mixed system, the architecture of remedies, and more. 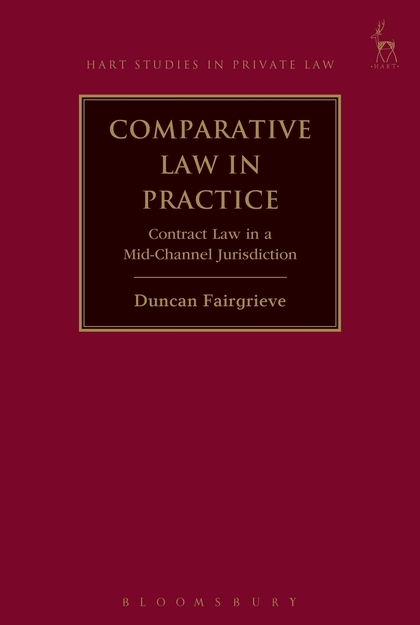 Duncan Fairgrieve is Senior Research Fellow in Comparative Law at the British Institute of International and Comparative Law and Professeur Associé at Université Paris Dauphine PSL, France.